LaLa Little Lovebird: Blogmas2014 Day 9 ... My Portfolio! 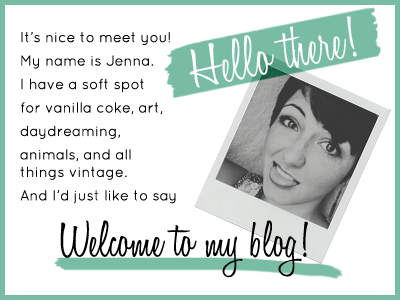 Blogmas2014 Day 9 ... My Portfolio! I'm so proud of how it turned out. Granted from the book to my photos you can't get a great view of the colors and things but here it is! 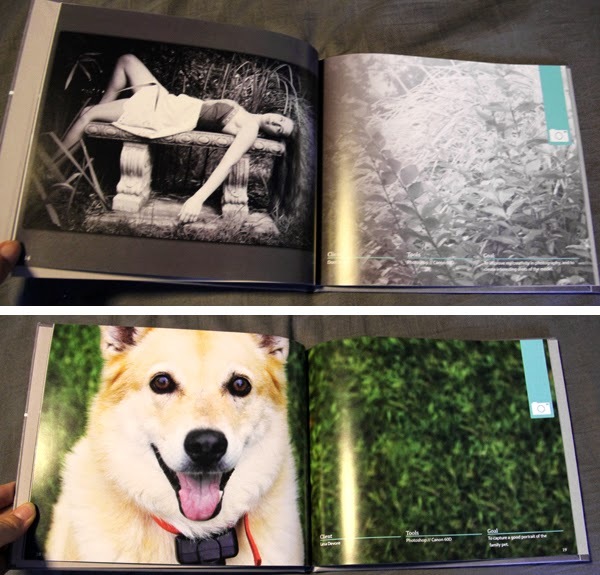 That's my front and back cover on top and the third image is what my first and last pages look like. This is basically how each section is divided up. The background is the same as what is on the cover, which I don't know if you can tell in the photos or not but it is a chalkboard background. Oh yeah and here's what my contents page looks like as well as my first layout page. Here are some of my other favorite pages. It already looks pretty great on here but I tell you nothing can beat seeing it in person. I'm so absolutely stoked with how it turned out. Everything was designed by yours truly and besides the chalkboard stock image (and of course the original Frank Frazetta paining) all images and whatnot are made by me. 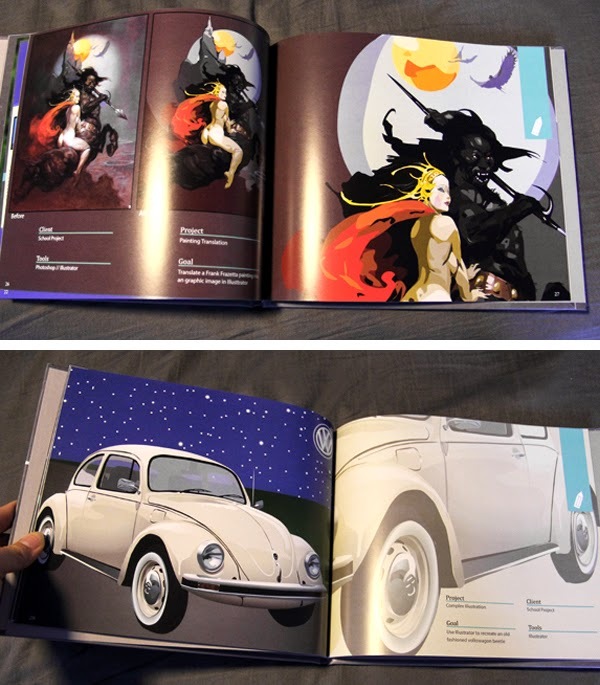 When the long process was finally finished and my designs all done it was sent off to Blurb's website and was sent to print. 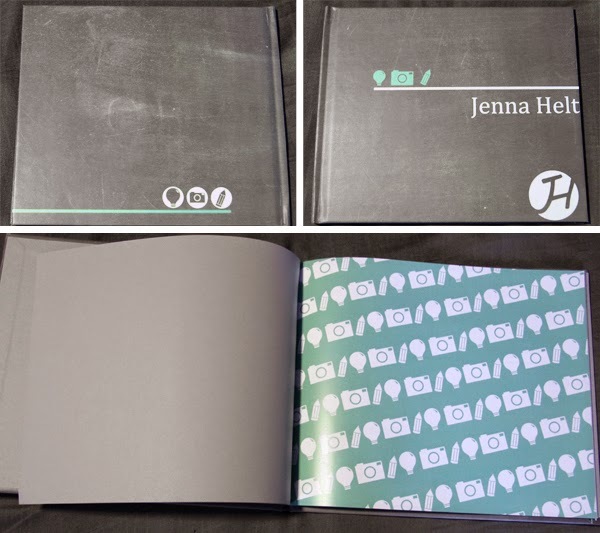 For those of you who don't know Blurb is a fantastic book making website, all you have to do is download their InDesign export template and you can send your book off to print, for my hard cover and glossy pages I think I only paid around fifty dollars for my book to be made which isn't bad at all. Getting this in the mail was like getting an early Christmas present from myself. I just couldn't be happier with it.